Rome - 4th of July 2007. Americans are celebrating this day as a special holiday signifying freedom and independence. But it is a work-day here in Rome at FAO, the Food and Agriculture Organization's headquarters, where the Codex Commission is having its week-long yearly general meeting. Freedom and independence are not really high on the agenda at Codex - rather the contrary, as more and more rules are passed that curb individual choice but allow corporations to do what they do best - dominate markets. The week-long meeting in Rome started Monday 2 July and is scheduled to end Friday or Saturday, leaving time for sight-seeing, but temperatures have already risen into the forbidding range beyond the 30 degree C mark - 86 degrees + in Fahrenheit, spoiling much of the fun of daytime excursions. But then - most of the action is in the evenings - in air conditioned hotels, good restaurants and favorite night spots. The meeting's atmosphere is business-like, as you would expect from a world legislative body engaged in making the food laws for future humanity. And laws they are, even though the official word is that regulations and guidelines passed by Codex are 'voluntary' for the member nations. It is the World Trade Organization that provides the enforcement arm for those Codex rules, using them as the standard by which to adjudicate trade disputes. In consequence, no country can afford to contravene these rules, if it does not wish to risk heavy sanctions imposed as a penalty after a trade dispute. Following this thought back to its logical conclusion, we arrive at a huge question, but one that is normally never asked: Who gave national ministry of health officials the authorization to commit their country to international laws that in time will bind their country without having been examined, much less approved, by national legislative assemblies? For all intents and purposes, Codex Alimentarius unites over 150 accredited industry and other interest groups with an even larger number of national health authorities to make the rules for a globalized society where corporations have free reign and what they like to call a "level playing field". But the playing field they construct is so restricted by red tape and the level parts are so completely occupied by corporate interedsts that anything smaller than a multinational falls off the edges into commercial insignificance. "Maximum Levels for Tin in Canned Foods and in Canned Beverages"
"Proposed draft Maximum Residue Limits for Pesticides"
"Draft MRLs [Maximum Residue Limits] for Bovine Somatotropin"
Somatotropin of course is growth hormone, including Monsanto's infamous rBGH, the synthetic "recombinant bovine growth hormone" that has farmers in the US scrambling to label their milk as "hormone free" because consumers do not want to drink the milk flowing from the often inflamed udders of cows treated with the hormone. Monsanto can be content - in the future it will be sufficient to stay within the limits of 'allowed' contamination and no country will be able to refuse the milk from growth hormone treated cows without risking trade sanctions. Another facet of this game of "stealth legislation" are genetically modified foods. They are made legally acceptable and countries are actually forced to allow them for cultivation and in foods, after the international body - Codex Alimentarius - has made regulations defining the circumstances and criteria for their evaluation. Practically, the concept of 'substantial equivalence' of genetically modified varieties with those we have grown for millennia, dumps the burden of proof that GM varieties are a danger to our health on the consuming public and a handful of honest but underfunded scientists. Jeffrey Smith, the author of the book Seeds of Deception explains in this article why GM crops should never have been approved and how the scam of 'substantial equivalence' works to level the playing field for the corporations. This year's plenary session of the Codex Commission does not deal with supplements. The regulations for those nutrient-containing products were adopted two years ago, on 4 July 2005. 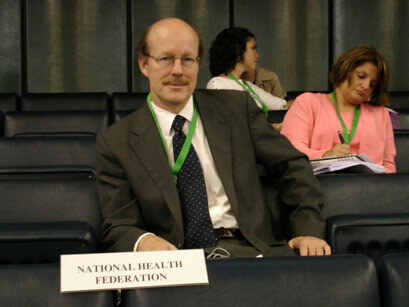 Nevertheless, Scott Tips of the National Health Federation is keeping a watchful eye on the meeting to make sure nothing sneaks by unrecorded. Scott's account of the meeting can be found here: Codex Alimentarius: A Meeting of One It did not matter that there were some 451 country delegation members and another 61 INGO delegate-observers from around the World in attendance or pretend attendance, the CAC Chairman, Dr. Claude Mosha, plowed forward on a one-man mission from God pushing aside any and all objections - excuse me, he called them "reservations" - that were made ... In this one meeting, the Commission was rendered irrelevant as a meaningful "approving" body, for it merely rubberstamped without thought what had been done by others. Mimi the Gorilla could have done just as good a job. Food supplements have been a target for Codex since 1994, when the Germans, who have traditionally hosted the Codex Nutrition Committee's meetings, made a proposal to regulate food supplements in a way that would protect the interests of pharmaceutical companies. The pharmaceutical producers of course are intent on selling more and more of their drugs. Concentrated nutrients that keep people healthy are a definite threat to the expansion of that particular drug market. Needless to say that my challenge to the German proposal, written in 1996, was not taken into consideration when, during these intervening years, the Germans and the European Commission played tag team to get the Codex food supplement regulations passed despite all opposition. Those Codex supplement rules, in their substance if not in wording, are eerily similar to the European food supplements directive, or should we say that the European food supplements directive turned out very similar to the original German proposal to control supplements aired first in that Codex Nutrition Committee meeting in 1994. At the time, that Codex proposal was almost considered a joke: "what do those people know about supplements?" was the question often asked in industry circles. Not much, we can say now, but enough to know that nutrients constitute a dire threat to a pharmaceutical business model that depends on illness, not on health, for its humongous profits. A reaction to this corporate push to eliminate natural health care options in favor of pharmaceutical medicine, is a recently published book titled Codex Alimentarius - Global Food Imperialism. 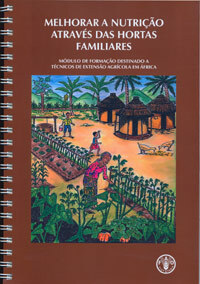 The book collects and summarizes a decade of Codex meetings and deliberations that touch on issues of freedom of choice and the availability of information about health and nutrition. What emerges is an ugly picture of an international policy setting body that has been set up and is being largely controlled by food, agriculture and pharmaceutical multinationals doing everything possible to suppress free choice in matters of nutrition. Pressure inevitably creates counter-pressure, and so a natural health resistance movement is forming against the Codex agenda of controlled healthcare, where nutrition and other natural health options are conspicuously absent. The serious nature of the threat to human health of Codex Alimentarius and the corporate agenda hiding behind it only becomes apparent when examining the international connections that form a tightly knit web of corporate interests and official health policy making. After a transatlantic summit that brought agreements for EU/US economic cooperation, the FDA and the European Food Safety Agency have announced that they will initiate closer co-operation on food safety issues. In the US, the FDA has announced its final rule on "Current Good Manufacturing Practice" for food supplements, openly acknowledging that some manufacturers of supplements will find the compliance costs too high and will have to close shop. Canada has tightened its regulations for natural health products and the Kiwis are resisting the extension of Australian medicines regulations to New Zealand by way of the creation of a Trans-Tasman health products agency, while Europe has re-vamped its laws on vitamins, herbs and medicines, always leading to tighter control of the natural health options that could be of competition to pharma's drugs. South Africa's pharma-inspired law proposal was however nixed by health minister Manto Tshabalala-Msimang. Those legislative moves in major countries and regions and the contemporaneous efforts of Codex Alimentarius are no mere coincidence. Someone has to be pushing very hard to limit competition to pharmaceutical drugs. Only the makers of those drugs have the motive, the financial resources and the international clout to do so. To point the researchers among you in the right direction, I have compiled a time line of articles that document and comment on the discussions in Codex Alimentarius about food supplements. These nutrient-dense foods have healthy properties and therefore preventive and even curative effects. Although those health effects are widely recognized, corporate and regulatory collusion has made it practically impossible to inform people, without risking the removal of the 'offending' product from the market as an 'unauthorized medicine'. And in the future we see possible restrictions on dosage - all for the safety of the consumer of course. Baby foods, nutritional supplements and the "Codex Alimentarius"
AHHA Attends Berlin Codex Session - What did we learn? December 2004: WHO/FAO discusses "nutrient risk assessment"
Naturally incomplete as it must be, this is my timeline of Codex events up to this present meeting of the Codex Alimentarius Commission. It is not easy to get into this somewhat dry and legalistic stuff of international legislation, but there it is - a window on the ongoing battle for preserving our health options. Granted, the odds seem overwhelming, the juggernaut targeting health and nutrition, of which Codex is only a part, is thundering ahead. But the force is with those who are pure at heart and there is always hope. So let's end this article on a positive note. A training package for preparing field workers in Southeast Asia to promote home gardening as a way to feed families and have food left over to sell. Perhaps, little by little, the idea is making headway that individual initiative and real food are important ingredients in providing economic and food security. I was happy to see this apparent turn from the "green revolution" of chemical-intensive agriculture into something that - at least at the surface - resembles permaculture and organic farming more than the corporate controlled industrial variety, which is heavy in synthetic fertilizers, pesticides, herbicides and genetically modified varieties of mostly "cash crops". If the Food and Agricultural Organization can come around to promoting distributed farming for real foods that protects the soil and the environment, perhaps Codex Alimentarius can come around to a view of nutrition that recognizes the health effects of nutrients and allows their distribution and commerce - rather than restricting it for the benefit of Big Pharma. There may be hope after all! 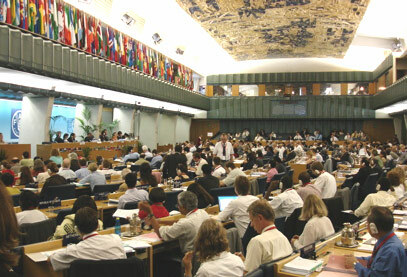 In my first Codex report from the 30th Session of the Codex Alimentarius Commission (July 2-7, 2007) here in Rome I noted with astonishment the brazen disregard for the procedures and purposes for which Codex was (allegedly) been created. Those of us who understand the real game know that the format and words do not represent the real text. Still, up until this Codex meeting, at least the forms have been observed. This meeting, however, has really been different. So imagine our surprise when, relegated though we were to the hot upper reaches of the 4th Press Gallery of the Food and Agriculture Organization Plenary Session Room when the discussion became positively languid. Somehow the leadership of Codex found the time to spend (literally) HOURS on a 'discussion' of how important it is to have a continuing relationship with the International Organization of Animal Safety (OIE). On and on went the comments, but they were all of a piece: Country after country enthused about how important that relationship is to food safety. And then another identical comment, another and another and... another! Then WHO and FAO (Codex' parent organizations) agreed. Then the Vice Chair said that it would be important to have a formal relationship and the Codex Secretariat and WHO and FAO said that relationship would be between WHO, FAO and IOE and then around again. There was time for this leisurely conversation but no time to discuss the real work of Codex. Or, perhaps, this distortion of objective IS the real work of Codex. Hmmmmmm. What do you think? No multinational corporation's ox was gored by this song of praise to institutional collaboration but many of them would have been gored by delegates questioning the US' attempt to make sure all food is irradiated, GM food is unlabled, pesticide residues are either vacated (first day, no time for discussion) or accepted, including levels for those substances banned by the 2001 Stockholm convention because they are too toxic for use on this planet. No time to talk about the Codex definition of advertising which can be used as a blanket prohibition against truthful informaiton on health benefits of food. No time to ask questions about sugar in baby foods or the fact that although, because of our documentation, the Codex Committee on Nutrition and Foods for Special Dietary Uses banned fluoride in the formula for healthy babies, the US sneaked it in at the very end of the discussion in the formulas of sick (and thus, more vulnerable babies). No time to question why stevia is not a permitted substance (although some Latin American nations tried again today and were slapped down for it pretty hard). No time to ask why baby food and weaning foods have such high levels of salt and sugar. And certainly no time for anything like the World Health Organization's Global Strategy on Diet, Physical Activity and Health which Codex is supposed to implement but which, somehow, neither the Canadian-led Codex Committee on Food Labeling (into whose report South Africa's contributions were inserted, meaning that they were to have been presented here today) nor Dr. Grossklaus' Codex Committee on Nutrition and Foods for Special Dietary Uses seems to have been able to find a way to implement in the two years since they were ordered by WHO and FAO to do so. After that, WHO and FAO rather lamely, I thought, reminded the Codex Commission that every Codex Committee could find ways to implement the Global Strategy. Yeah. Right. So what's the good news? Contact. Despite the very best efforts of the Codex folks to keep us segregated, we have been able to make the sorts of contact that we came here for. Developments are unfolding that will lead to more trips and more meetings with major leaders who are NOT happy about all of this. The Codex Two Step Process is receiving a level of listening that it has not had yet. The worse, the more dictatorial and obvious the Codex process becomes, the better it is for health freedom! More delegates and more leaders, more consumer advocates and more consumers are 'getting it'. And, with that understanding, of course, comes a hunger for the solution. That's the Codex Two Step Process. And here is an older piece, but very relevant to the issue of Codex Alimentarius and how it ties in with the European view of supplements. The low-level "warfare" between alternative and mainstream (or establishment) medicine has heated up considerable in Europe. Unfortunately it is a David vs. Goliath battle, where the Goliath is the giant pharmaceutical companies - seeking a monopoly for their products - and supported by part of the medical establishment and various government bodies. The control of medical practice seems to be as , or more, authoritarian in European countries than it is here. In 2002 the European Union's Food Supplement Directive became law, severely limiting the form and quantities of vitamins and minerals that can legally be sold and representing a blow against alternative medicine. The issue here is not whether there should or should not be regulation of the food supplement industry; it is regulation by whom, and for what purposes? Now, however, the EU's Food Supplement Directive is being considered as the touchstone for the development of international standards for food supplements. The work is being done by Codex Alimentarius, an agency administered jointly by WHO and the Food and Agriculture Organization; it leans strongly toward the drug industry view that supplements are dangerous and need to be controlled, if not made available only by prescription. The strongest opposition has come from South Africa, which has filed complaints that the process is not proceeding on the basis of scientific evidence and analysis. South Africa has recently been joined in its opposition by three other African nations and India. Should the Codex end up with very restrictive standards, a case could be filed with the World Trade Organization to force member countries, including the United States, into conformity. This is the danger and it has prompted the British organization, Alliance for Natural Health, to file a lawsuit in the European Court of Justice. Is Food Production Feeding the 'Population Bomb'? Fourteen countries registered their reservation (i.e., disagreement) with the decision of the CAC on a particular item. They disagreed so strongly, in fact (and here is the important part) that their leader, Columbia, stated that because so many nations disagreed with the decison THEY DID NOT BELIEVE IT REPRESENTED A CONSENSUS. Why is that important? Because phony consensus, driven by pre-ordained outcomes which the Chairmen of the committees and the CAC itself, are the rule of the day in Codex. Unless and until blocs of nations begin acting together to protest and prevent this phony consensus, Codex will continue to ride rough shod over the rights and needs of the nations of the earth who get in the way of the Multi National Corporations and their lackeys. That can happen. And that is why the Natural Solutions Foundation spends so much time working with, educating, and supporting developing nations in exactly this process.